International print competition open to all artists, printmaking techniques and tendencies, organized by ADOGI. 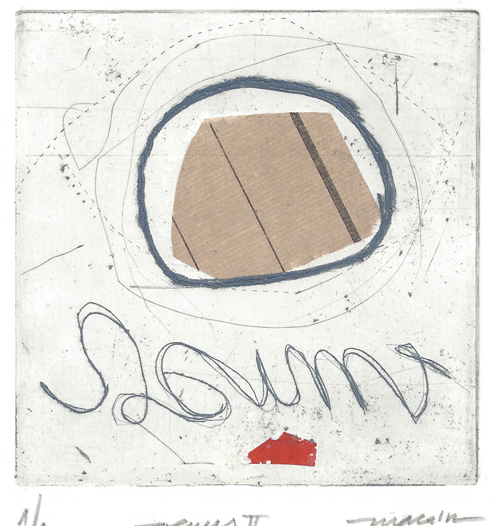 The deadline to participate in the 39th Mini Print International of Cadaqués 2019 postponed until April 30. You can download the rules and the form here. New deadline is April 30, 2019. 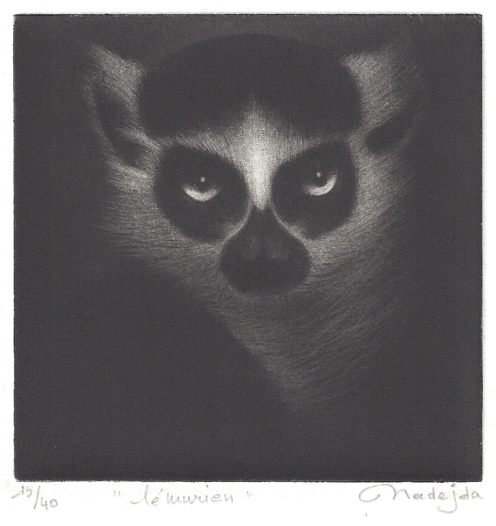 Nadejda Menier, from France, for the print «Lémurien» (Mezzotint). Marta Balada Monclús, from Spain, for the print «Saviesa i societat» (Etching, aquatint a la poupée and lithography). 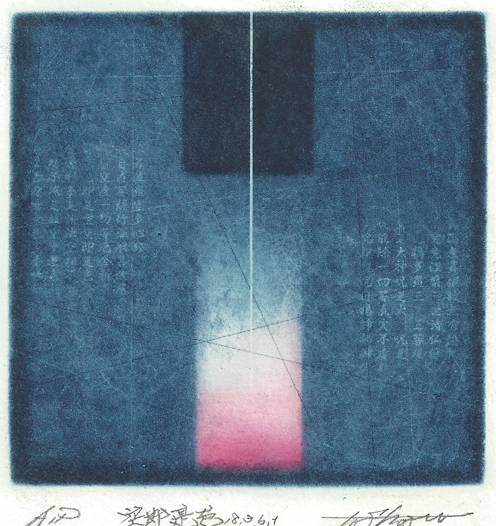 Toshiaki Shozu, from Japan, for the print «All are vanity, 18.3.6.1» (Photogravure). 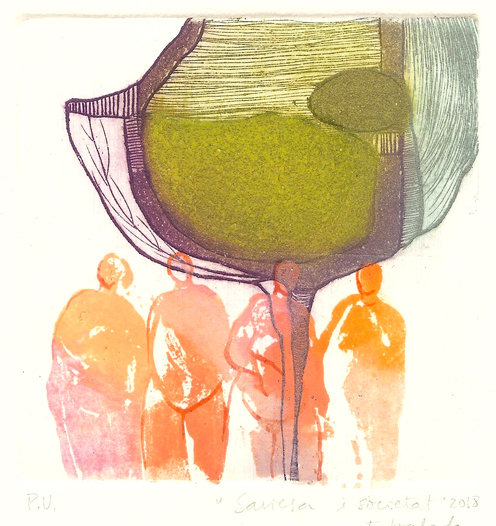 Mariela Canchari (Maca’n), from France, for the print «Venus – II» (Etching, burin and drypoint). 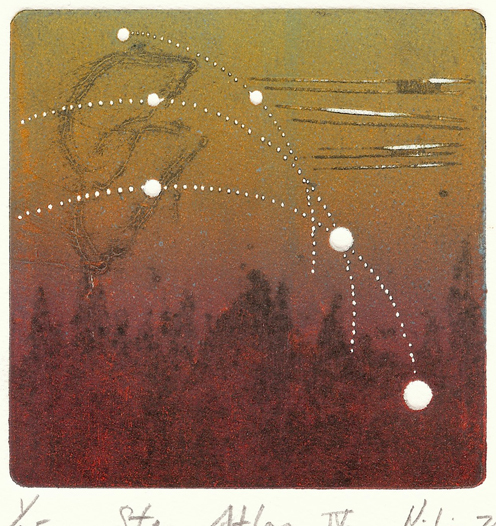 Peili Huang, from Taiwan, for the print «Star atlas – IV» (Collagraph). 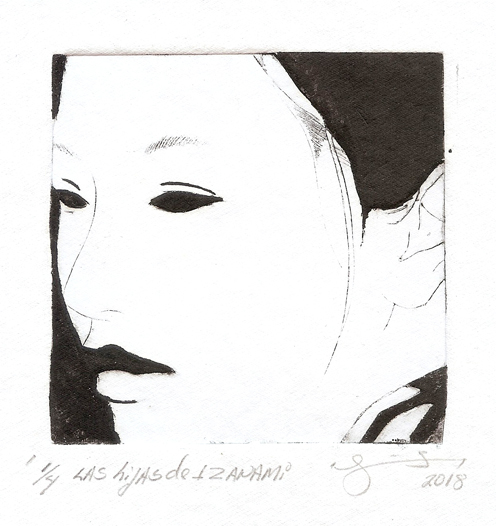 Ibrahim Ambar Ricardo, from Cuba, for the print «Las hijas de Izanami» (Collagraph). Please see the nine finalists and more information at the AWARDS 2018 section.